Ginny grew up in North Minneapolis and graduated from Patrick Henry High School. She got her undergraduate Degree from the University of Minnesota – Twin Cities with a major in Political Science with a focus in Law and Politics and a minor in Sociology: Law, Criminology, and Deviance. While at the University of Minnesota Ginny was a Dean’s List recipient. She then pursued her legal education at William Mitchell College of Law in St. Paul, Minnesota where she graduated and was also a Dean’s List recipient. While at William Mitchell she was accepted as a member of the Warren E. Burger Inns of Court, a group of lawyers, judges, legal educators, and others aimed to promote excellence in legal advocacy within the courts. Ginny also participated in the Moot Court Trial Competition, and focused her studies on trial work and skills by taking multiple clinics and trial advocacy courses. During law school Ginny worked as a certified student attorney with the Minneapolis City Attorney’s Office for almost two years where she appeared and represented the City of Minneapolis in the Community and Serious Traffic Arraignment Courtrooms under the student practice rules. Ginny also worked for the firm Dorsey & Whitney in the conflicts department for over four years and did a clerkship with the Honorable Timothy K. Connell – Judge of District Court after graduating law school. She was admitted to the bar in 2006 and remains in good standing. Ginny now practices in the areas of criminal defense and family law; two areas that typically require significant advocacy in the courtroom. She is a current member of the National Association of Criminal Defense Lawyers, the Minnesota Association of Criminal Defense Lawyers as well as the Minnesota State Bar Association, where she has held the offices of Vice President and President of the Minnesota State Bar Association – 13th District. She has also been a member of the Minnesota State Bar Association – 13th District Ethics Committee from 2008 – 2014. She has volunteered her time as a mock trial coach as well as a mock trial judge and is a current member of the Minnesota Cornerstone Drug Court Team. She also is a member of the Minnesota Judicial Branch – Children’s Justice Initiative. She is a current member of the Westbrook-Walnut Grove School Board as well as a member of the physician recruitment committee with Sanford Westbrook. In 2010 Ginny established the Westbrook Legal Self Help Center and continues to run the program where she provides free legal advice and consultation at the Westbrook Public Library one day a month to those people who represent themselves in the court process. She will review paperwork and legal documents with individuals and ensure that things are properly filled out and answer legal questions about the process and what one can expect. She believes that part of her ethical duty is to help all people, and has found this a rewarding way to help those who may not be financially able to retain the services of an attorney. Ginny currently resides in Westbrook with her husband and three children. Member of the Minnesota Association of Criminal Defense Lawyers. 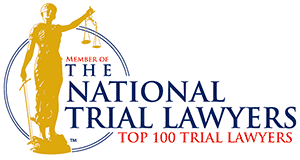 Member of the National Trial Lawyers. 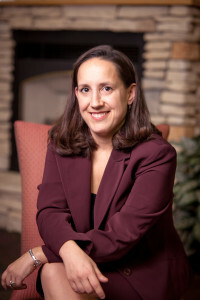 Member of the Minnesota State Bar Association, where she has held the offices of Vice President and President of the Minnesota State Bar Association – 13th District. Member of the Minnesota State Bar Association – 13th District Ethics Committee from 2008 – 2014. Member of the Minnesota Cornerstone Drug Court Team. Member of the Minnesota Judicial Branch – Children’s Justice Initiative. Prior Member of the Warren E. Burger Inns of Court, St. Paul, MN (2005-2006). Current member of the Westbrook-Walnut Grove School Board. Current member of the physician recruitment committee with Sanford Westbrook. Establish and currently run the Westbrook Legal Self Help Center. Volunteered as a mock trial coach. Volunteered a mock trial judge. Volunteered with Southern Minnesota Regional Legal Services in family law (2004 – 2005). Previously volunteered with Crystal Care Center to participate in weekly activities with seniors (2003 – 2006). Previous reading Volunteer with Bethune Elementary School in Minneapolis (2003-2005). Previous Volunteer with CLUES (Chicanos Unidos En Servicio) April 2003 – September 2003. Minnesota State Bar Association North Star Lawyer; awarded to those members who perform 50 hours of pro bono legal services to low income individuals.